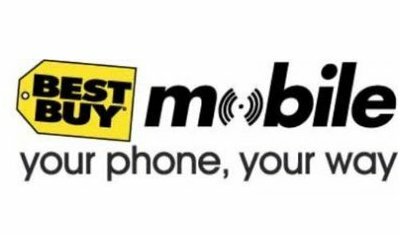 We’ve confirm with 2 Best Buy Mobile stores that a limited pre-sale will begin starting tomorrow (July 4th) and will end on Saturday (July 10th). Why are we calling it “limited”? Because they aren’t guaranteeing that these pre-sale units will be available to you on launch day which is the 15th and in fact are also warning employees to not allow buyers during this new pre-sale to make appointments for pick up. Yikes? Does pre-ordering the Droid X by Motorola at Best Buy® guarantee me a phone on launch day? No. However, we do fulfill pre-orders in the order they were placed. Did Best Buy® take pre-orders for the Droid X by Motorola? Yes. We began accepting pre-orders for the Droid X on June 25th, 2010, but we stopped taking pre-orders on Wednesday, June 30th, 2010. If I pre-ordered the Droid X by Motorola at Best Buy®, does that mean I am supposed to get it on launch day? Ideally, yes. But, this is not supposed to be guaranteed and is completely dependent on how many the store receives from the supplier. Any inventory received will be used to fulfill outstanding pre-orders in the order they were placed. For example, if the store has twenty pre-orders on launch day but only received fifteen phones, then the first fifteen pre-orders should receive their phone on launch day. Anyone willing to take this pre-sale risk? With Verizon not having a pre-sale, you might be better off just waiting at this point and walking into one of their stores on launch day. Interesting stuff. We’re just hoping it all works out! Oh, and someone grab page 5 of their ad this week! Should have the Droid X all over it. Cheers to Androidspin for the forum link!